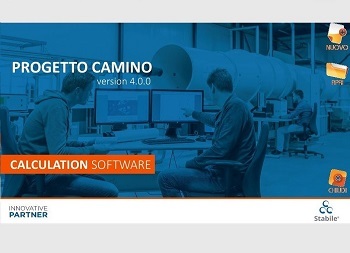 The software “Progetto Camino” has been conceived and developped as a software for the dimensioning and the verification of chimneys, collective chimneys and manifolds in compliance with the Standards UNI EN 13384-1, UNI EN 13384-2, UNI 10640 e UNI 10641. 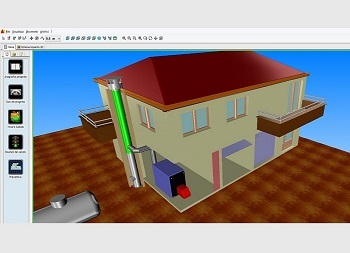 Thanks to an interactive guide and to a tree view of all the functions, “Progetto Camino” permits to choose the most appropriate STABILE system according to the type of fuel (gaseous, liquid, solid) and to the generator on which the flue system is installed (gas conventional and condensing appliances, fireplaces, stoves and combustion engines). 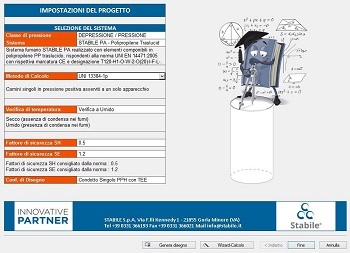 “Progetto Camino” is conceived to permit a wizard project, thus reducing the times to define the right system and allowing an easy use even for beginners. 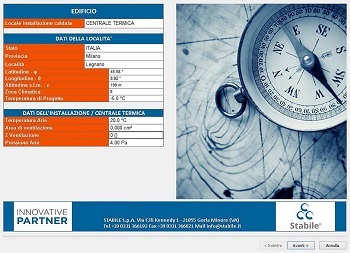 “Progetto Camino” is a complete work tool both for the installer and for the designer. The project is carried out on the basis of preset standard configurations that can be edited and extended by the user. 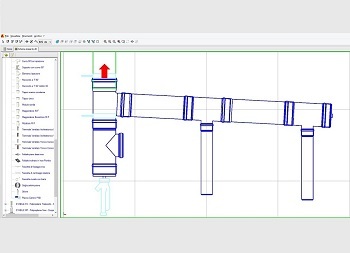 All the components of the system are displayed in 3D, the technical report can be downloaded in RTF format, the system scheme is in 2D and can be exported in CAD format. The cost estimate – with the full list of materials – is generated automatically and can be edited manually. The Technical Dept. 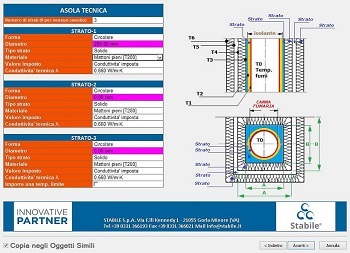 of the STABILE S.p.A. will provide assistance from the download of the software to the final creation of the project.